Auditing enables you to determine which activities are occurring on your system. Through auditing, you can track access to objects, files and folders; as well as any modifications made to the objects, files and folders. Auditing therefore enables you to collect information associated with resource access and usage on your system by allowing you to audit system logon, file access, object access, as well as any configuration changes. An audit trail can be defined as a list of audit entries which portray the life span of an object, or file and folder. When an event or action takes place that&apos;s configured for auditing, the action or event is written to the security log. 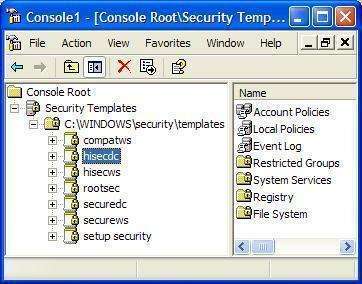 Security auditing events are thus written to the security log of the system, and can be accessed from Event Viewer. Computer reboots and computer shutdowns. List the type of access and information which should be audited. Determine whether success events, failure events, or both success and failure events should be audited. Plan the scope of auditing according to the resources which are available for auditing purposes. A wide auditing scope with auditing of both success and failure events can cause a large quantity of data to be collected. This in turn could prevent you from easily finding the information considered important. Define the quantity of time which would be required to view and analyze audit logs. Auditing of security event categories are disabled by default. In order to track access to objects, and files and folders, you have to define and configure an audit policy. You have to determine the types of events which you want to audit, and include the security requirements of the organization when you configure audit policies. Another step in defining audit policies is to determine the particular event categories which should be audited. Account logon events: This policy is typically enabled on domain controllers, to track users which are logging on to the computer. Account management: This policy tracks account management tasks performed on the computer, including creating, changing, and deleting user objects; and changing account passwords. 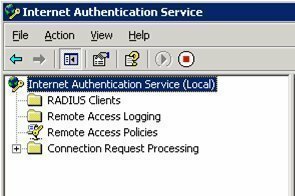 Directory service access: For domain controllers, the policy tracks when users access Active Directory objects which have system access control lists (SACLs). Logon events: This audit policy tracks when the user logons and logoffs. Object access: Tracks when a user accesses operating system components such as files, folders or registry keys. Process tracking: This audit policy tracks when certain events take place on the computer, such as when a program starts, or a process ends. The computer restarts, or shuts down. Any events that impact the security log or the security of the system. Successes only; an audit entry will be created when a particular event or action successfully finalizes. Successes and Failures; an entry will be created when the particular event or action successfully finalizes or fails. Audit policies can be configured through Group Policy for the entire site, or a domain and OU. You can also configure audit policies for servers and workstations. Accounts: Administrator Account Status; enables/disables the local Administrator account of the computer. Accounts: Guest Account Status; enables/disables the local Guest account of the computer. Audit: Audit The Use Of Backup And Restore Privilege; when the Audit Privilege Use policy is enabled, it configures the computer to audit user privileges. Audit: Shut Down System Immediately If Unable To Log Security Audits; results in the computer shutting down when no further auditing entries can be written to the security log due to the log reaching its maximum size limit. Devices: Allowed To Format And Eject Removable Media; defines those local groups which are allowed to format and eject removable NTFS file system media. Devices: Restrict CD-ROM Access To Locally Logged-on User Only; stops users from accessing the CD-ROM drives of the computer. Devices: Restrict Floppy Access To Locally Logged-on User Only; stops users from accessing the floppy disk drive of the computer. Domain Member: Maximum Machine Account Password Age; sets the frequency at which the computer account password of the system is modified. Interactive Logon: Do Not Require CTRL+ALT+DEL; specifies the Disable option so that users are secured from Trojan horse attacks. Interactive Logon: Require Domain Controller Authentication To Unlock Workstation; stops the computer from being unlocked through cached credentials. Microsoft Network Client: Digitally Sign Communications (Always); sets the computer to require packet signatures for Server Message Block client communications. Microsoft Network Server: Digitally Sign Communications (Always); sets the computer to require packet signatures for Server Message Block server communications. Network Access: Do Not Allow Anonymous Enumeration Of SAM Accounts And Shares; stops anonymous users from gathering information on the names of local user accounts and shares. Network Access: Remotely Accessible Registry Paths And Sub-paths; defines the registry paths and sub-paths which certain users can access. 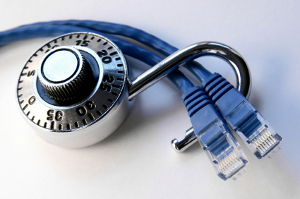 Network Access: Shares That Can Be Accessed Anonymously; defines the shares which can be accessed by anonymous users. Network Security: Force Logoff When Logon Hours Expire; configures the computer to end any current local user connections that have used up their defined logon hours or time. Shutdown: Allow System To Be Shut Down Without Having To Log On; enables the Shut Down button in the Log On To Windows dialog box. The software or program that logged or recorded the event. The user that performed the action which resulted in an event being logged. Archive security logs on a regular basis. In the left console pane, right-click the site, domain, or OU; and then select Properties from the shortcut menu. How to enable auditing for Active Directory objects. Select the Active Directory object which you want to configure auditing for, and then select Properties on Action menu. Click Advanced to move to the Advanced Security Settings For dialog box for the Active Directory object. Click Add, and then specify the users or groups for which you want to audit object access. When the Auditing Entry For dialog box for the object appears, choose the event(s) that you want to audit by choosing either one of, or both of the following options: Successful, Failed; alongside the particular event(s). Use the Apply Onto list box to set where the auditing should take place. The default setting is This Object And All Child Objects. Click the Auditing tab on the Advanced Security Settings For dialog box of the file or folder. Click Add, and then choose the users/groups for which you want to audit file or folder access. Click OK.
Use the Apply Onto list box to specify the location where auditing should occur. The default setting is This Folder, Subfolders And Files. Click Start, Run, enter mmc in the Run dialog box, and click OK. Using the File menu, click Add Snap in, and then click Add. Select the Group Policy Object Editor management tool and then click Add. When the Select Group Policy Object dialog box opens, click Browse to choose the proper GPO for the specific domain or OU. Right-click the File System node to add audit settings for a file/folder. Using the browse interface, locate the file/folder for which you want to configure auditing. Click Edit Security to specify the auditing settings. The details pane is populated with all events that exist in the security log, together with summary information such as Date, Time, Category, Event ID, and User; on each entry. A key icon is displayed alongside successful audit events. A lock icon is displayed alongside unsuccessful audit events. On the View menu, click the Filter option. On the Filter tab, specify the filter criteria that you want to use to display a specific event(s) in the security log. In the Event Types section of the dialog box, specify the types of events tht you want to display in the security log. In the Event Source list, choose the source that logged the event(s) which you want to display. In the Category list, choose the event category. In the Computer box, enter the computer name. Use the From list boxes to enter the start parameters for the events which should be filtered. Use To list boxes to enter the end parameters for the events which should be filtered. Click OK to display the filtered events in the security log. Clicking the Restore Defaults button on the Filter tab removes the security log filter. In the console tree in the left pane, right-click Security and then select Properties on the shortcut menu. When the Security Properties dialog box opens, on the General tab, enter the maximum log file size. The default setting is 512 KB. You can set the maximum log file size to any size from 64 KB to 4,194,240 KB. Overwrite Events As Needed: When selected, the oldest events in the security log are replaced when new events need to be logged. Overwrite Events Older Than _ Days: Enter the number of days after which the system can overwrite an event. Do Not Overwrite Events (Clear Log Manually): When selected, you have chosen to manually clear the security log. The system does not overwrite or replace any events in the security log when the maximum log file size is reached. If the security log is not manually cleared, all new events are dropped, and are therefore not recorded in the security log. In the console tree in the left pane, right-click Security and then select Clear All Events on the shortcut menu. When the Event Viewer message box appears, click Yes to archive the existing entries in the security log prior to it being cleared; or click No to simply delete the existing entries in the log. If you chose to archive the entries in the security log, enter a name and a file format for the log file. In the console tree in the left pane, right-click Security and then select Save Log File on the shortcut menu. Enter a name for the file and then enter a file format for the file. Does anyone have any experience with any third-party change auditing tools? I need a tool that will automate change auditing of AD, file servers, Group Policy, Exchange and Windows Server. I’m currently looking at the NetWrix Change Reporter Suite, which I’ve heard really good things about, as well as ScriptLogic Active Administrator, ManageEngine ADAuditPlus and Quest ChangeAuditor. So far I’m learning toward the NetWrix tool because all of these audit modules are offered in one suite, but I’m wondering if anyone has a recommendation for the above. 180 queries in 0.330 seconds.